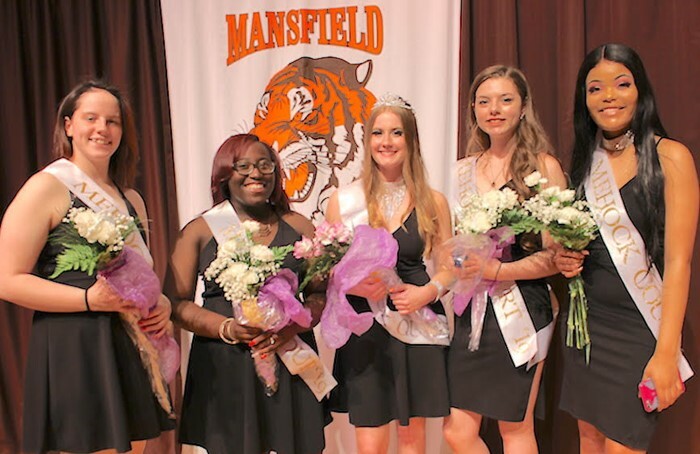 Senior Abygale Wilcox was crowned queen of the 2019 Mehock Relays during an assembly Friday afternoon at Mansfield Senior High School. The queen’s court includes seniors Autumn Sweeney, Elizabeth Pounds, Nazaria Dismuke and Alyssa Debo. Saturday’s 87th Relays will be staged at Mehock Field at Malabar Intermediate School. Nearly 60 boys and girls teams – an estimated 800 athletes – from Ohio, Michigan and Canada will participate. Field events and running preliminaries will begin at 10 a.m., followed by the running finals.